Devan and Ron picked a wonderful afternoon at Veritas for their wedding in May. This image works for me because of Devan’s glance and smile toward Ron during a reading. The layers of this image make the moment a perfect choice for our image of the week. 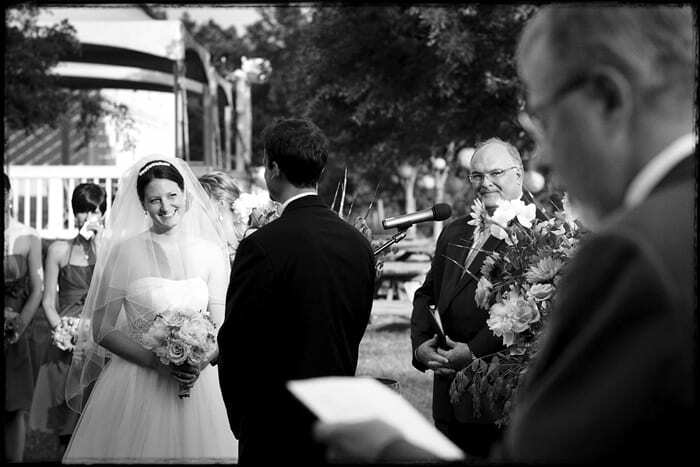 I love the scene framed by the reader, the minister’s attentive look, and the bridesmaids in the background.